Macro There are 5 products. 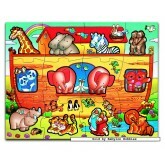 Noah's Ark macro puzzle illustrates animals boarding Noah's Ark in pairs with 24 easy-clean pieces. In stock and ready to ship out. 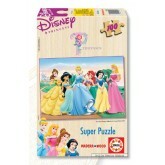 A 9 pieces jigsaw puzzle made by Educa (reference 12766). Size: 18 x 15 cm (= 7.1 x 5.9 inch). 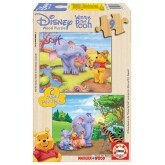 Special series: Winnie The Pooh. In stock and ready to ship out. These princesses are finding the true love with the help of there best friends. 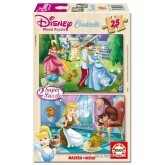 This wooden puzzle shows the magic of the world where the princesses are living. In stock and ready to ship out. Explore the enchanting world. Every princess has there own story and lives in a magical world. 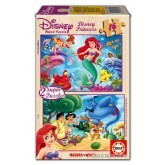 Enjoy making this wooden puzzle and it's like you are a part of their live. In stock and ready to ship out.